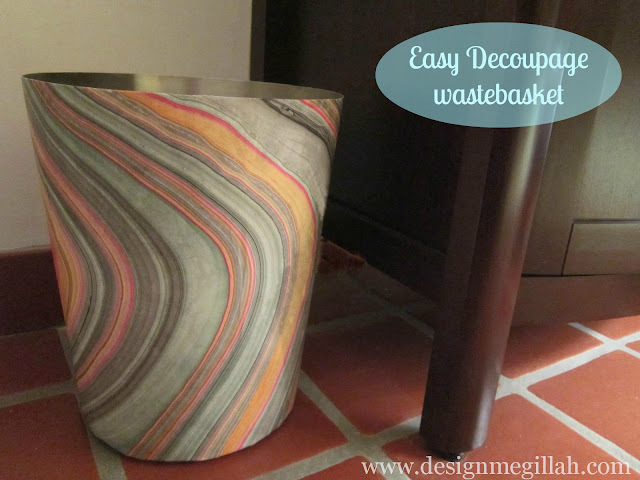 I made this pretty wastepaper basket in minutes for less than $5.00! Here's how. I ran into the art supply store last week to grab a pair of blunt scissors for Yosef's upshernish and I couldn't leave the store without browsing at the beautiful art supplies...including their fabulous selection of papers. All the papers were 50% off that day and I was immediately drawn to this gorgeous marbleized paper. I had no idea what I was going to do with it but I loved the colors and at half price I couldn't leave the store without it. 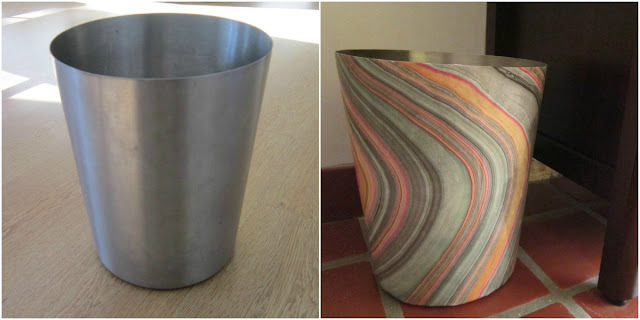 Our new home has a powder room that needed a prettier trash can than the old metal one that was there. I grabbed my Mod Podge and started covering the back of the paper. 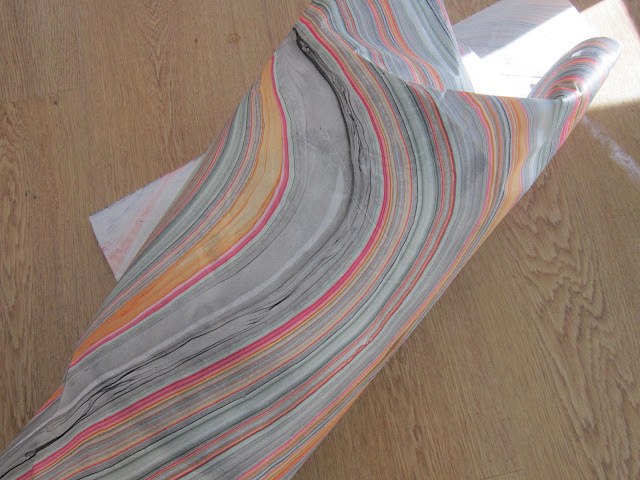 While the paper was still wet, I covered the can, rolling it on all sides and smoothing out any air pockets. The bottom was tucked underneath the can and the top was cut with a sharp e-xacto knife. 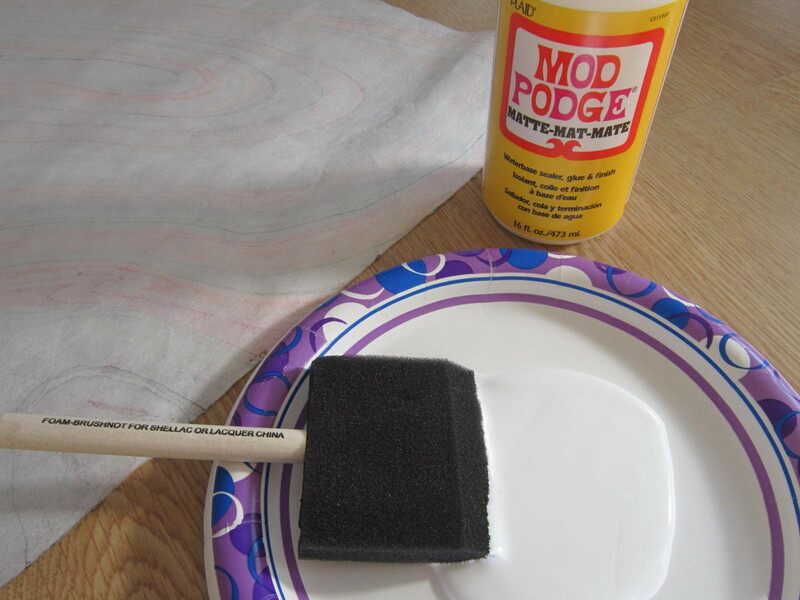 A final coat of Mod Podge seals the paper. The walls still need to be painted but this looks so much better, right? Very easy, cheap and chic! Seriously, Rita, that is gorgeous! 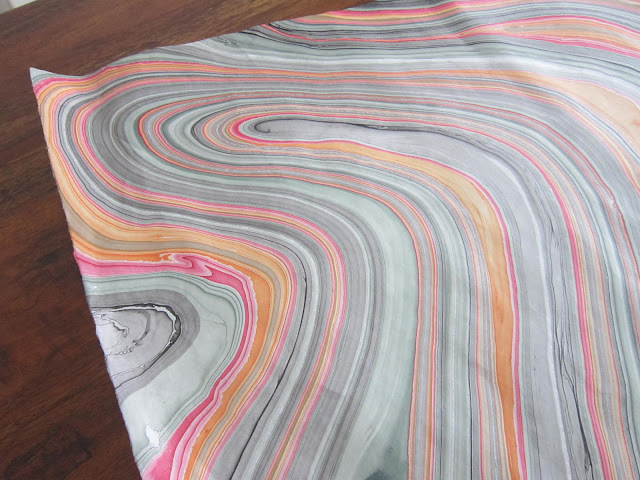 I love marble paper and would never have thought to use it there - so cool! Thanks--I might have to go back and buy more paper! I know--I fell in love with the paper!